“The best Beatles book for some time” – British Beatles Fan Club Magazine? How did I end up co-writing the curious autobiography of Leslie Cavendish? It was all due to a chance encounter at a tennis club between Lorenzo Rulfo, General Manager of Book on a Tree, and this amiable Londoner. As soon as Lorenzo discovered that his opponent on the court had spent years snipping the four most famous and influential heads of hair in history, he began talking to him about a possible editorial project. And the job was given to me. 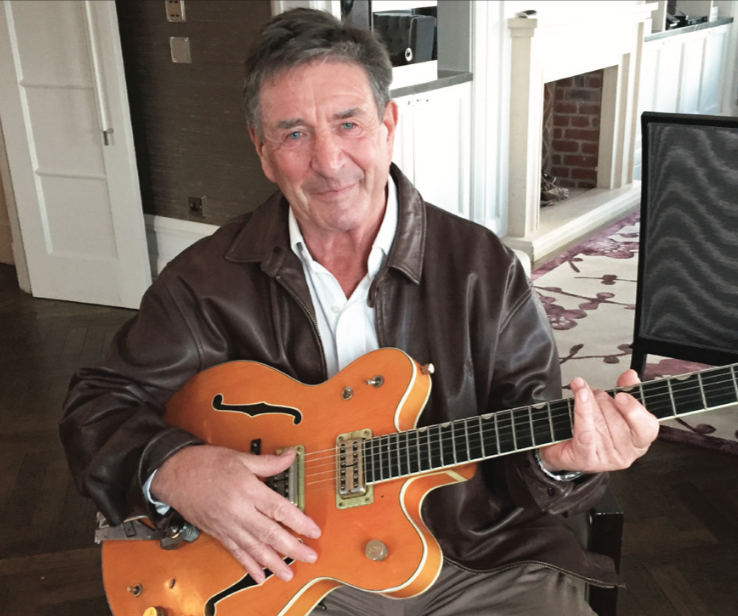 It was quite an experience to interview Leslie over several long sessions, both in London and Madrid, and to dive into the history, culture and music of Swinging Sixties London, in order to re-write the original manuscript he had prepared with his journalist friend, Neil McNaughton. 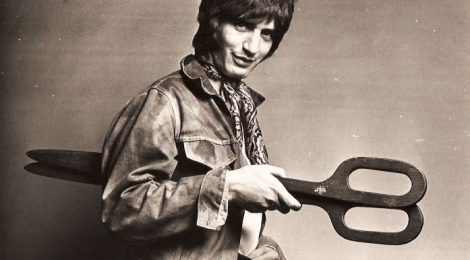 Leslie wasn’t just the Beatles’ hairdresser. He smoked joints with Paul after styling his locks in the main bathroom of the McCartney residence. He went on the Magical Mystery Tour, appearing in several scenes of the movie. He was one of the privileged few –aside from musicians and engineers– who witnessed the legendary recording sessions of Sergeant Pepper’s Lonely Heart’s Club Band, the White Album and other records by the Fab Four. And for a couple of years, he even ran a Beatles-backed salon that was part of the Apple Corps. How did he do it? Not even Leslie can figure it out. Though undoubtedly, his East-end charm and rock-solid discretion had something to do with it. It’s been fascinating for me to delve into that incredible period of social upheaval, in which Oriental gurus mixed with political activists and radical artists. And I confess to falling in love once again with the music of the band who transformed our music and culture forever. But the most amazing part was when I discovered that Leslie Cavendish himself played a vital role in the 60’s revolution, one he wasn’t even aware of. During our long chats, he told me that in 1966, he suggested to Paul McCartney that he cut his hair short so that he could travel around the world without being continuously accosted by journalists. The strategy worked so well that in France they didn’t let the Beatle into a nightclub because no one believed he was Paul McCartney, without his famous head of hair. However, Leslie himself didn’t realise that his haircut changed rock and roll history forever. When I did research on the biographies of the four Beatles, I read that it was on the return plane from that trip when McCartney thought up the name “Sergeant Pepper’s”, while playing with the ‘salt and pepper’ packets of the onboard food tray. That was how the name of one of the most influential albums of all time was born. And it would never have happened without that strategic haircut! The Beatles’ hair changed the world. As their increasingly wild, untamed manes grew, to the horror of parents everywhere, they set off a cultural revolution as the most tangible symbol of the Sixties’ psychedelic dream of peace, love and playful rebellion. 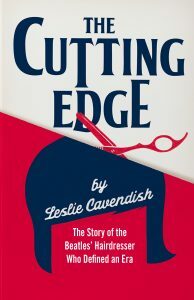 In the midst of this epochal change was Leslie Cavendish, hairdresser to the Beatles and some of the greatest stars of the music and entertainment industry. But just how did a fifteen-year-old Jewish school dropout from an undistinguished North London suburb, with no particular artistic talent or show­business connections, end up literally at the cutting edge of Sixties’ fashion in just four years? His story – honest, always entertaining and inspiring – parallels the meteoric rise of the Beatles themselves, and is no less astounding. The Cutting Edge has been published by Alma Books, and distributed in the US, the UK and Australia by Bloomsbury Press. A Spanish edition is also available.